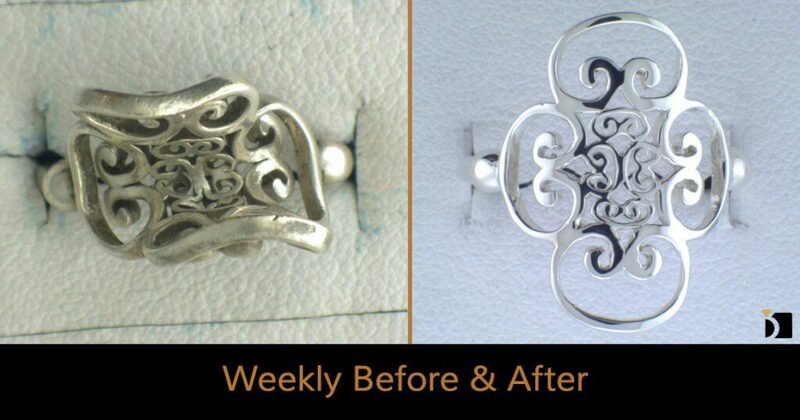 On this edition of the Weekly Before & After, we have a Sterling Silver ring that was badly misshapen and needed to be re-sized up. -Re-size up one and a half sizes. It is all then wrapped up with a nice clean and polish.